Using Unifrog with KS3 is a great way to help students comprehend how their choices now will affect their career options in the future. It can never be too soon for students to know what is expected of them if they want to follow a certain career path. It helps them understand how their GCSE choices can affect their future. It helps make careers seem more achievable and less abstract. Our tools are accessible for students in KS3 and by building familiarity with the tool early on, students will be confident using it ‘for real’ when they are thinking about their choices either in year 11 or sixth form. It’s best practice to use Unifrog with KS4 because it builds students’ confidence with the tool and keeps them focused on their education. Showing students what GCSE grades they need to achieve to reach their chosen post-school destination motivates them to work hard. 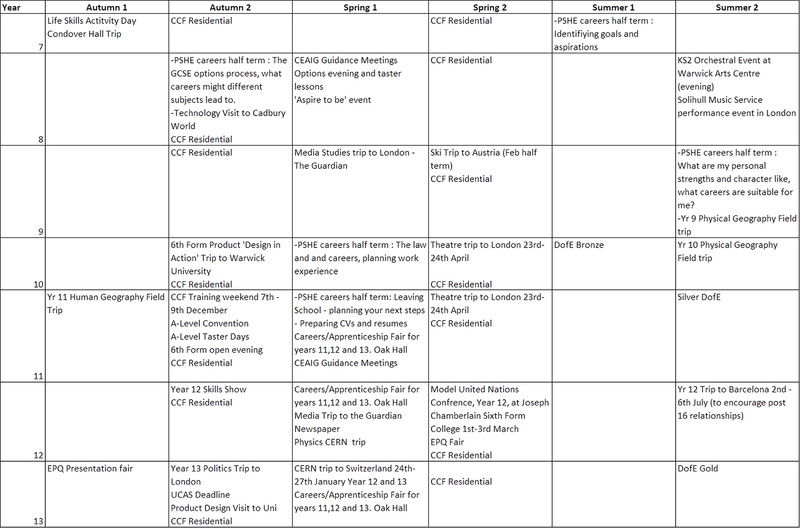 The University, Apprenticeship, and College and Sixth Form tools have been optimised for use lower down the school. For instance, when KS4 students use the University tool they are asked to enter their expected GCSE grades, and the tool then forecasts what this will result in in terms of UCAS points. Using Unifrog in KS4 helps to embed use of the tool, so that it is used more effectively in KS5. Our aim is for all students to receive quality careers advice at every stage in their eduction. Here is a breakdown of each of our PSHE lessons to support and guide our students to achieve their potential. Student will start their career programme by highlighting their strength, weaknesses, goal, learning styles and personal organisation. Using this information they will understand the importance of having goals and aspirations. Unifrog is then introduced and used to set short and long term targets. Starting with their goal and aspirations, students will explore career pathways available to them after school, including university and vocational courses. Students will consider what their initial GCSE choices might be and compare these to their strengths and what are their career goals are. Unifrog will then be used to help make the best decision GCSE choices to achieve their career goals. Students will carry out a personal review including progress towards their goals. Unifrog will be used to explore how their GCSE subjects will prepare them for a career. They will discover what resources are available to develop skills and qualities that are desirable to employers in different fields. There are many opportunities in and outside of school to help students prepare for the workplace. They will explore these and encouraged to take advantage of these. Unifrog will be used to gaining an understanding of what soft skills are and why they are so important in the workplace. They will also be able to use Unifrog to learn about the importance of work experience when applying for jobs and how they can choose the best opportunities for their chosen careers. During this year our students will need to start applying for to 6thform, colleges or apprenticeships. Unifrog has a huge range of resources to help and support students to develop their employability, to create outstanding CV’s, personal statements and covering letters. They will also learn how to ‘market’ themselves in interviews and how to make the most of career advice.